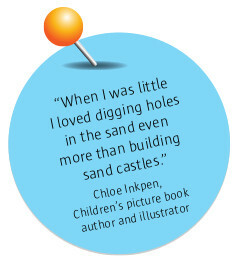 Do you remember the first time you built a sandcastle, paddled in the sea or felt sand between your toes? 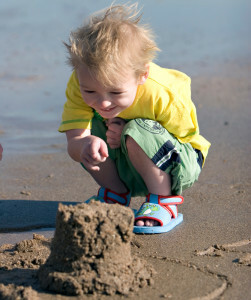 Childhood memories of family trips to the seaside stay with us all our lives. Thoughts of enjoyable days at the beach offer precious comfort when skies are grey or times are hard. Sadly there are many children in Britain who have never been to the seaside, and probably never will. And it is often these children and their families who would most benefit from a short break. This year, the Family Holiday Association marks 40 years of changing lives. 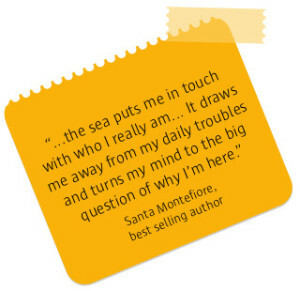 And as part of our celebrations, we have been asking supporters of the charity to share their seaside memories. We have had some fantastic responses from many of our well-known and highly esteemed supporters, including broadcaster Eamonn Holmes, author Santa Montefoire, children’s author and illustrator Chloe Inkpen and Michelin starred chef Nathan Outlaw. We’ve compiled these into a digital scrapbook where you can you read personal and inspirational accounts of bygone days at the seaside, also a charming poem, book extracts and tasty seaside recipes. We’d love to hear about your cherished childhood holiday memories. Post them to our Facebook page. And whilst you’re at it, why not dig out an old photo or two of you on holiday! The Family Holiday Association is the only national charity dedicated to providing British seaside breaks and days out for families struggling with some of the toughest challenges life can bring – things like severe and sudden illness, disability, abuse and bereavement. The majority of families we help have never been away before. Every day we are reminded of how a simple break from a stressful situation can create wonderful memories, strengthen bonds and develop a sense of optimism.